Happy 200th Birthday, Times-Gazette!! You have served your community well. You have been vital to the life and health of a wonderful community. For 200 years you have faithfully chronicled the history. At times, it was painful to be the messenger. Especially when the news at hand stirred up emotions of heartache, disappointment, anger and/or grief. Other times, you shared accomplishments, celebrations, milestones and the welcomed news was delivered with great joy. It is hard to imagine this community without your dedicated coverage. I had the privilege of serving as the group publisher in southwest Ohio and was especially honored to have been part of the Times-Gazette family for about 14 years, including serving as the day-to-day publisher of The Times-Gazette for about two years. That gave me a unique opportunity to become part of history in the making in this special community. I loved the rolling hills of Highland County and working with many people who were proud of their town, their home. It’s not a far commute to get to the metro area, but far enough to enjoy the slower pace, more relaxed lifestyle of a rural town. I remember one day while I was working in my office at The Times-Gazette when these two different worlds seemed to collide. I was pounding away on my laptop while taking a call on my Blackberry when an Amish family pulled up in front of my window in their horse-drawn buggy. There were so many memories shared with the community during my tenure there. We moved The Times-Gazette from its location on South High Street to the current location on Governor Trimble Place. The old city building that had housed the police and fire station was transformed into a much-improved home for the paper thanks to the collaboration with Drew Hastings and his mother, who offered interior design expertise. The staff at The Times-Gazette became my family. Many changes. Many emotions. Changes in ownership. Front-end systems. Personnel. Some very trying times. But lots of laughter and encouraging each other on. Who can forget the cook shows at Southern State every spring? Lots of work, but so much fun to connect with our readers. And Sharon Hughes in her glory on the stage! I had the honor of bringing Gary Abernathy in as the publisher of The Times-Gazette… a decision without regret. He has served this community well in his role. So many great athletic accomplishments have hailed from Highland County. So, Highland County Sports Hall of Fame was birthed to honor athletes and to recognize our high school scholar athletes. Only right that The Times-Gazette would assume the responsibility of recording and recognizing their stories. The Associated Press awards garnered by The Times-Gazette staff (and there have been many) reflects only a miniscule part of what they have accomplished. These are folks who work faithfully, day in and day out, telling the story, recording the history, heralding truth to make Highland County a better place to call home. Congratulations, Times-Gazette! So proud of all you do! 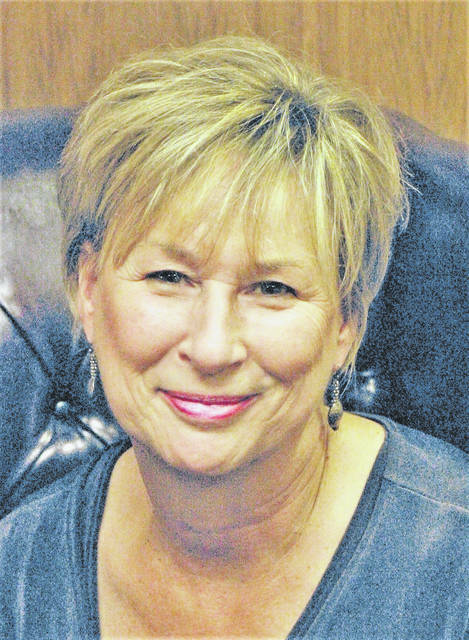 Pam Stricker was a regional publisher from 2000-2014 over newspapers including The Times-Gazette, and was the day-to-day publisher of The Times-Gazette from 2009-2011.